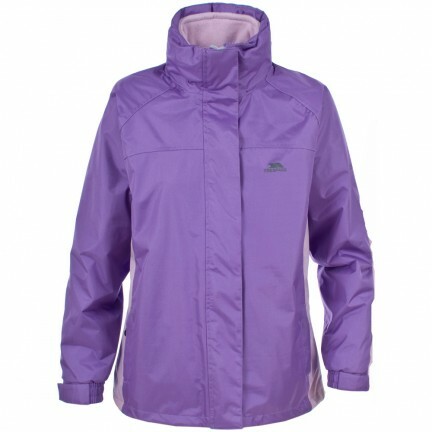 Being avid walkers out in all weathers Mountainwalk was asked to try out a mid price ladies 3 in 1 waterproof jacket. First the fleece. The lightweight 240 gsm microfleece is very soft and comfortable to wear. It has two zip pockets on the outside and two large inner pockets. The only drawback is that the cuffs are not elasticated, but it's not a serious point. The fleece seems water repellant to some extent too - certainly enough to keep me dry from car to venue during an unexpected heavy shower! It does stand on it's own as a useful piece of clothing. The waterproof jacket does have elasticated cuffs, and a velcro tab for adjustment. The one thing I was very pleased to find was that the hood is adjustable, again with velcro. Personally I hate hoods which flop down around the face! I can guarantee that this jacket is completely waterproof, having been caught out in heavy downpours whilst wearing it. The water doesn't soak into the coat, but runs off - meaning waterproof trousers are a necessity. 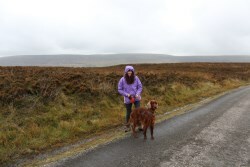 The coat was given a good trial during a recent walk in the Black Mountains, Wales, where it stood up well in the gusty wind and heavy rain. With a recommended retail price around £52 this coat is on offer at Outdoor Look for just £40.63. For this price you get a versatile item that's comfortable and does exactly what it says on the tin!